COMMENTARY — Fans across the nation are on the edge of their seats, waiting for college football to kickoff. Every team (except Hawaii) is undefeated and hope springs eternal in the breast of every fan. Ute fans are no different than the rest of college football nation. The hope and anticipation over Utah football is not unfounded. Here are three reasons why Ute fans are justifiably excited at the potential for the upcoming season. 1. Utah’s defense is going to be great once again (yawn). The most consistent aspect of the Ute program for years has been the high level of play on the defensive side of the ball. It would actually be more noteworthy if Utah’s defense was expected to struggle, because that never happens. As usual, I expect the defense to be an absolute beast. The defense returns seven starters, including two first-team All-Pac-12 players in junior defensive tackle Lowell Lotulelei and junior free safety Marcus Williams. While some question marks remain in the linebacking corps (primarily unknowns, not necessarily concerns), the defensive line is going to be as good as it ever has been, and the secondary is solid. 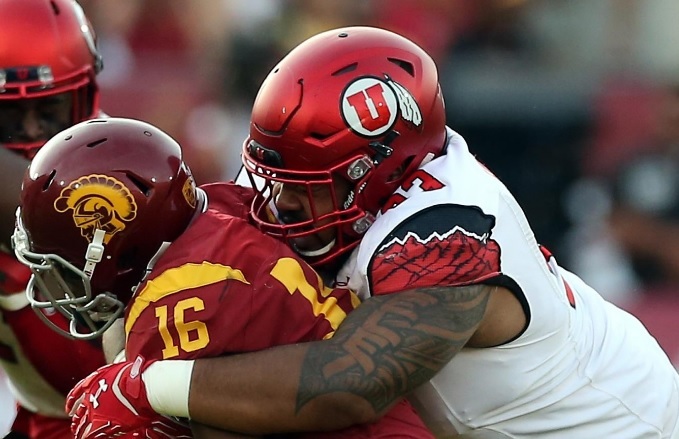 It is very telling that defensive tackle Stevie Tu’ikolovatu transferred to USC in the offseason, ostensibly looking for playing time because the Utes are so stacked with talent on the defensive line. Because he graduated last May, he is eligible to play immediately without sitting out for a year, and he is currently listed as a starter for the Trojans. I also love the promotion of Morgan Scalley to defensive coordinator. I wouldn’t have been surprised if Scalley had been promoted to coordinator last season. However, I think Kyle Whittingham learned his lesson about promoting coaches too soon when he prematurely made Brian Johnson the offensive coordinator. Bringing John Pease out of retirement for a single season to essentially act as a placeholder at defensive coordinator until the reigns were handed over to Scalley was a savvy move by Whittingham. Scalley coaches just like he played — all in with a lethal combination of intensive preparation before the game and unparalleled effort during the game. 2. Utah’s offense will be much improved. Let’s be honest, the Ute offense has been pretty pathetic for the past few years. Offensive outbursts like the 62-20 steamrolling of Oregon last year are most notable for being the exception rather than the rule. Utah’s offense has paled in comparison to other Pac-12 teams for the past five years. The passing game has been the glaring Achilles heel, and fortunately a stellar defense has helped score points. When your offensive output has been as anemic as the Utes for half a decade, the one bright spot is that the only direction to go is up. I am hopeful that being the Pac-12’s most impotent offense for five years will provide the solid rock bottom on which success for Utah’s offense can be rebuilt. The running game should be solid again behind workhorse senior running back Joe Williams. However, unlike recent years, the running game should finally see some significant help from the passing game. Travis Wilson has graduated, and the presumptive challengers to succeed him, Brandon Cox and Connor Manning, have both transferred. However, that may not be such a bad thing. Sometimes the best thing you can do is just start over. Junior transfer Troy Williams has established himself as the starting quarterback. Even more impressive is the fact that his teammates have voted him to be a team captain before ever taking a single snap in a real game. True freshman Tyler Huntley is currently slated as the back-up after pushing Williams hard for the starting position (but it remains to be seen if he will end up redshirting in order to preserve an extra year of eligibility as a future starter). 3. Utah has a favorable schedule. The Utes non-conference schedule will allow Utah to tune-up without getting beat up. The Utes host Southern Utah this Thursday to open the season, before hosting BYU the following week. Utah then goes on the road at San Jose State before embarking on an always rigorous Pac-12 schedule. Stanford is the favorite to win the Pac-12, but the Utes do not play the Cardinal in the regular season. Four other Pac-12 teams are ranked in the preseason Top 25: Washington (14), UCLA (16), USC (20), and Oregon (24). Utah plays three of those teams at home, with UCLA being the only road game in the group. As the Chainsmokers have so famously sung, here’s hoping the Utes don’t let their fans down with a very winnable season-opener against the Thunderbirds Thursday night.